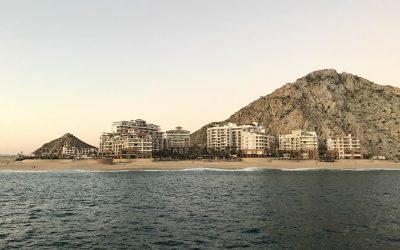 Staying in Cabo San Lucas with Grand Solmar Vacation Club means that you have the opportunity to try experiences that can’t be found anywhere else. 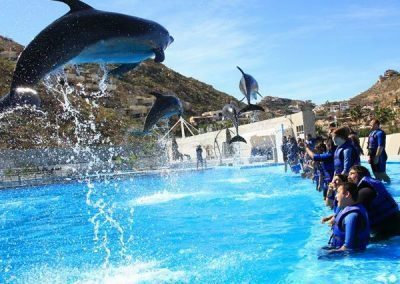 Swimming with dolphins, extreme water activities, and more await those who are daring enough. 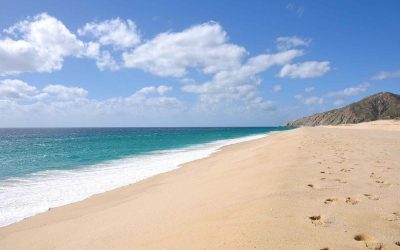 Best of all, if you visit Cabo with Grand Solmar Vacation Club, and stay at the new Land’s End Resort, you get amazing discounts and benefits, letting you keep money in your wallet as you explore this wonderful town. Starting on the open water, a glass bottom boat tour needs to be seen to truly be believed. You can practically touch the crystal clear blue waters of the Pacific Ocean and Sea of Cortes as you gaze at sea lions and other animals, from the safety and comfort of your glass bottom boat. If you want to get up close with marine life, give Snuba diving a try! Snuba is similar to scuba diving, however, you save time and don’t have to lug all the heavy equipment. A simple fifteen minute lesson, and you’ll be exploring the ocean with a tour guide. 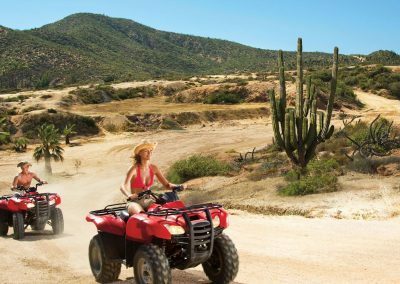 If fun in the sun is more your style, ATV’s on Migriño Beach are a great way to spend an afternoon. With 20-foot-high cacti, exotic desert flora, and massive dunes to traverse, it’s a breathtaking and adrenaline pumping experience. Horseback riding is also available, as you get to enjoy the sights of Cabo San Lucas on a gentle horseback. Beginner and expert horses are available, so make sure to give it a try. 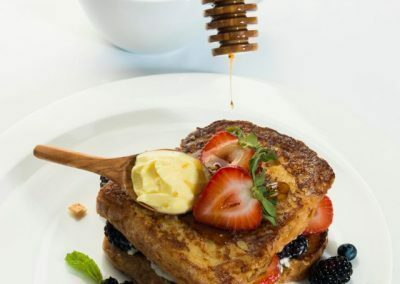 If all of this intrigues you, make sure to visit Grand Solmar Vacation Club, call 1-800-344-3349, or email them at reservations@solmar.com. Their expert staff is waiting to assist you with any questions you may have, and are trained to help find you the best deals at the lowest prices. 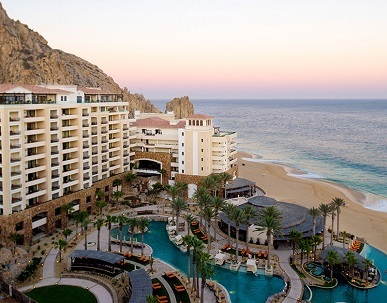 If you’re planning a wedding, honeymoon, or just a getaway, Cabo San Lucas is the perfect destination, and Grand Solmar Vacation Club is the best way to visit! Enjoy a romantic dinner for two with your toes on the sand! 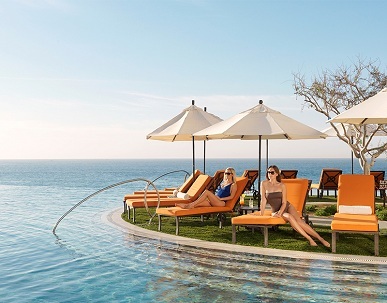 Staying in Cabo San Lucas with Grand Solmar Vacation Club means that you have the opportunity to try experiences that can’t be found anywhere else.